Suraj Tunji Oyewale’s ‘The Road to Victoria Island’ is a stimulating book dissecting the entry myth into corporate Nigeria. I read the book right-away the minute I received it from Lagos as a gift from the author. Insightful, absorbing, it fills me with electrifying thrills and sensation, like just the next day I would become a top executive. I have had a dream to become a world-class economist. This dream was inspired by the 2008 world economic welt-down, listening speeches on BBC Hausa Services from business leaders around the world and economists including our own Emir, Sanusi Lamido Sanusi, the nation’s Central Bank Governor at the time. Perusing each sentence, each paragraph, I was ravenously filliping through and asking “what next” till the end and was not glad when I finished. I was hankering for more. Suraj brought together gem personal experiences and stories from contributors in critical moments of making career decisions in their life. I must thank Suraj and his team for bringing and sharing his experiences. It saves a lot of people years of hard work trying to invent their own wheel. Not all of us may have the privilege of personally meeting the people Suraj met, or the kind of experience he lived through. In the book, we learn that hard work and merit are the primary parameters for employment and pathway to the zenith of corporate ladder. The myth of employment bias in top jobs is debunked, especially in oil and gas, the most lucrative sector of the nation’s economy. Mr Suraj has consistently made the point that no one in his right senses, no organization, even the much accused public institutions, will adopt as its mission to populate its workforce with dumb heads. There is no acceptance of indolence and hoping for the best. But people resign to the negative mentality that you can only get a top job through favour and other unmerited connections. They indignantly express the sentiment that Dangote doesn’t like to hire his own people to managerial positions. It is naïve thinking this way. Successful corporate entities don’t work like that. No serious business would like to fail. So, people should develop skills up to the standards. I can vividly recall an instant that happened some time ago, eavesdropping one guy praying God should give him MTN Telecommunications Company for free. In my mind I was saying “Oh young man, it doesn’t work like that.” The MTN owners didn’t just pray or wait for someone to dash them the multi-million dollars corporation. Certainly, if Dangote has had such thinking he wouldn’t have been where he is today, and would have long vanished from the list. Going through the book, one is jarred and sliced by fear, thrill and motivation. You encounter accomplishments made in the face of seeming insurmountable odds. These successes throw challenge at your feet. But it is great sigh of relief encountering those achievements. They give you hope. GTBank, Access Bank and other financial institutions were established by young men of no more than 30-32 years. At 27, some of them had been given the task of managing billion dollars enterprises like IBTC, duties that people of similar ages nowadays would have found unthinkable to handle. It is not entirely their fault, however, the system makes them not to believe in themselves. The overall point Suraj has logically made is that grade is key. Achievement is something you will have to prepare right from early age through the university and follow up to your public life, always trying to upgrade your skills and knowledge and keep decent personal conducts. 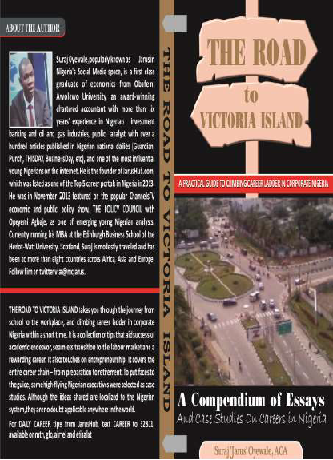 The Road to Victoria Island is a book that every Nigerian should read, especially students preparing for college admission, graduates, early and mid-career staffers in corporate Nigeria. The version of this article was initially published on Facebook October 30th 2016. 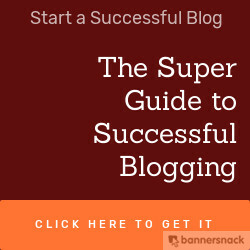 Abubakar Sulaiman Muhd is a writer, aesthetician, minimalist and success enthusiast. He is from Kano and has a BA from Ahmadu Bello University Zaria with passions in strategic communication, literature and new media.